A New Dark Leader Has Emerged. Following Maurice's near-assassination and the overthrow of the American Vampire Council, Reginald, Maurice, and Nikki have fled to Luxembourg, where they've taken refuge under the protection of Karl Stromm and the EU Council. Things in America have continued towards chaos with no end in sight — until a coup shakes the world and a new American leader arrives with promises to restore order and derail the imminent human-vampire war. But things are not as they seem. A dangerous, genocidal faction has arisen to upset the fragile balance. The New World Order in America is not what it seems. And all the while the world's vampires face a war on two fronts: deadly, prepared human forces on one side, and their immortal creators on the other. 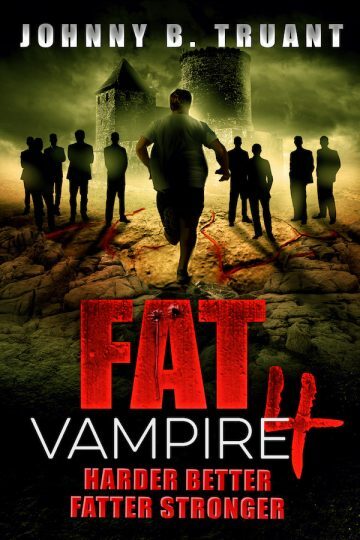 This fresh twist on the tired old undead myth is the fourth in the Fat Vampire series by Johnny B. Truant — author of many bestselling series including Invasion, The Beam, Unicorn Western, The Dream Engine, Robot Proletariat, and more.